On Wednesday 14 November, Atos UK&I was proud to welcome three-times Olympic silver medallist and the longest serving member of the GB Rowing team, Frances Houghton, to our UK&I headquarters. 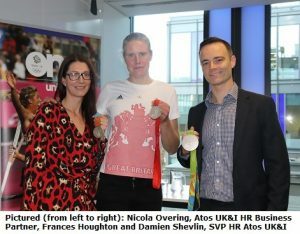 Championing Atos UK&I’s ‘Future Fit’ programme, Frances recounted stories from her career to show that anything is possible when you embrace positive change, develop the skills you need to succeed, adopt a growth mindset and build successful teams. 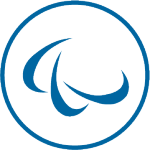 The Future Fit initiative, launched in 2017, is designed to support the development of Atos’ people to ensure the right skills and capabilities to continue to drive digital transformation with its customers and meet the changing demands on the business, both now and in the future. The event was livestreamed across eleven other sites in the UK&I and showcased an inspiring speech for our employees to build the skills they need for the future in order to “become all they can be” in the workplace.